A bill in New Jersey that provides job seekers who have made past transgressions the opportunity to fare better in the job market just needs the Governor’s signature to become law. It is no secret that for ex-convicts and those with a criminal record, securing stable employment after having been in jail or after committing a crime can be quite difficult. Thanks to the sponsor of the bill, Sen. Sandra Cunningham, ex-convicts looking to better their lives may find their job search much easier. The bill, which was passed by the Senate and Assembly as of June 26, 2014, is called the “Equal Opportunity Act.” The “Equal Opportunity” is for those individuals who have a few hits on their criminal record. The percentage of ex-convicts who return to prison after being released is quite high. This is because of the difficulty faced when seeking employment, which encourages these offenders to return to a life of crime. Defenders of the bill believe that everyone who has made a mistake and repented should have a chance to start their lives anew. The bill has been in the works for two years and was finally passed this week. The bill is not yet a law and is now awaiting approval from the governor, Chris Christie. The bill has gone through several revisions due to opposition from business groups. The bill as it stands now would not apply to any employers that have less than 15 employees. 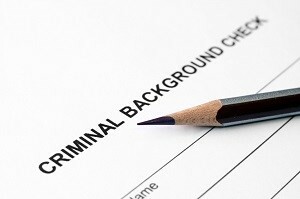 Job seekers would also not be required to disclose their criminal record on job applications. However, jobs required by law to conduct background checks would be exempt. Though Governor Christie, as of this writing, has not publicly made any comment, Sen. Cunningham insists that she is on friendly terms with the governor and even got his help when developing the bill. Other senators agree that the bill can be good for companies, as the companies would not be held liable for the actions of any ex-convict employees. Given that the unemployment rate is rising nationwide, this bill can mean good news for those who have struggled with joblessness. The bill gives those truly repentant ex-convicts a legitimate chance for a new lease on life. Supporters of the bill favor it because it can mean a change for good in society. Less people will return to committing crimes and breaking the law if they can have an easier time securing employment once released. The fate of the bill is now in the hands of the governor. The passing of the bill is one small victory. Should the bill become a law, this could mean a big change in the employment process for job seekers in New Jersey. According to Sen. Cunningham, the chances of the bill becoming a law are quite high, and she looks forward to ex-convicts being given a chance.